It was only after a lapse of 50 years that Jeju’s worst tragedy was openly unveiled at home and abroad. Before then, publicly discussing or addressing it was taboo or labeled as the suspicious acts of communists or leftists. 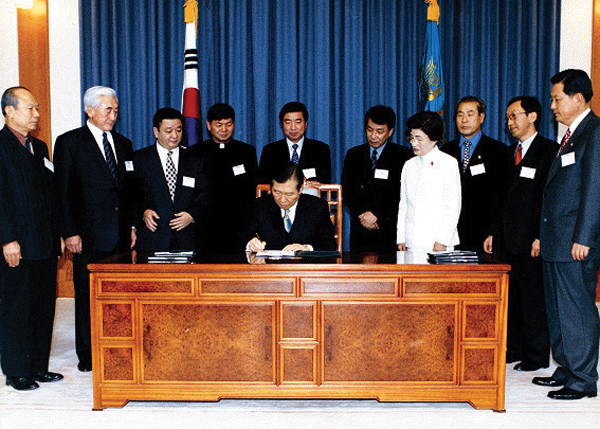 Not until January 2000 when a Special Act was decreed by the Korean Government calling for an official investigation of the incident did a number exist of how many Jeju residents were massacred during the incident. Most people know that this hauntingly beautiful island earned UNESCO World Natural Heritage status, but what fewer know is the fact that, after the 1950 Korean War, April 3, 1948, was the second largest massacre in Korea’s modern history. Scars of the onslaught are omnipresent on the island. Oreum seen everywhere on Jeju are not only secondary volcanic cones, but are often also the graveyard of many souls. The April 3 Uprising, according to a statement released by the April 3rd Research Institute, was the “brutal suppression by the Korean government against armed rebellion in Jeju during the period of April 3, 1948, to Sept. 21, 1954.” Primary causes of the Jeju uprising, however, are a far more complex interplay of different factors - the Jeju people’s deep mistrust and anger toward government maladministration and Japanese police officers who abused their authority; co-stationing of the local and national army with a U.S. military presence; and a controversial looming election after the partition of the peninsula. In addition to that, lingering social unrest after the independence from Japanese rule was another cause of chaos in Jeju. An article titled “Jeju Island as the center for human rights and peace in the 21st century” in Peace Island, a magazine published by Institute of Peace Studies, depicted Jeju during that time as a society struck by “infectious diseases, years of famine, lack of basic foods, and a high unemployment rate” because of a sudden influx of refugees after liberation. All of these together boded ill for the future of Jeju Island. Such political and social unrest continued to mount until it came to a head on March 1, 1947(*), (Korean Independence Movement Day) in what became known as the “shooting incident.” Not only were Jeju people commemorating the Korean struggle against Japanese rule, but they also planned rallies on March 1 to denounce the upcoming general elections scheduled for May 10, 1948. 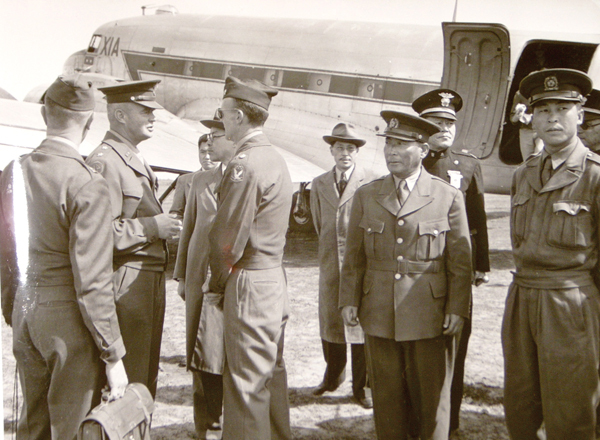 The elections were seen by Jeju residents as a unilateral attempt of the U.S. ruling government under the U.N. flag to separate a southern regime and to employ its first president Syngman Rhee. As the celebration at Gwandeokjeong, Jeju City, progressed, a batch of police officers from the mainland opened fire on the crowd, killing six and injuring eight people. Outraged, a group calling themselves the Jeju chapter of the South Korea Labor Party attacked police stations, burned polling centers for the upcoming election and attacked political opponents and their families. Imprisonments and a ruthless crackdown of the government on the left soon began, followed by torture which led to three deaths in prisons. An American investigator witnessed 35 prisoners crowded into a single 10 by 12 foot cell. At 2 a.m. on April 3, 1948, a full-scale uprising began. Rebels attacked police stations and government offices, killing an estimated 50 police. A cycle of terror and counter-terror soon developed. Police and rightists brutalized the islanders. Officially 39,285 homes were demolished and more than half of the island’s villages destroyed, concentrated mostly around Halla Mountain. Of 400 villages, only 170 remained. 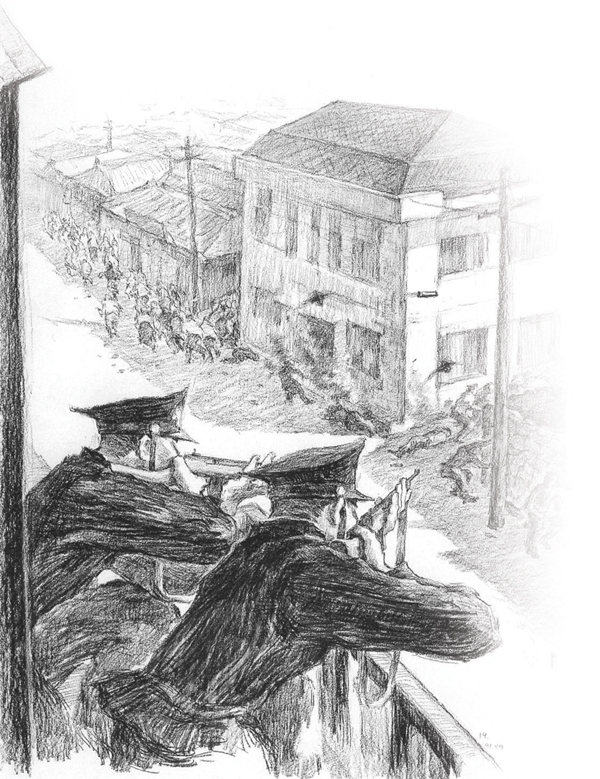 According to a report by the National Commission on the Jeju April 3 Incident, 25,000 to 30,000 people were killed or simply vanished, with upwards of 4,000 more fleeing to Japan as the government sought to quell the uprising. As the island’s population was at most 300,000 at the time, the official toll was one-tenth of the inhabitants. 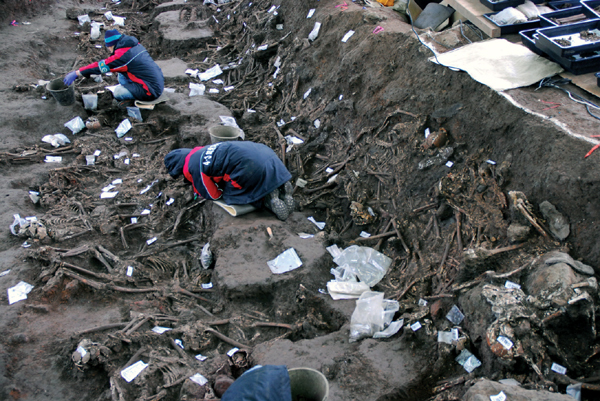 However, some Jeju people claim that as many as 40,000 islanders were killed in the suppression. This clash led to many deaths of U.S. military personnel, Korean police and right-wing youth alliance members, as well as the guerillas and civilians who were branded as traitors and sympathizers. In January 2000, more than 50 years after the tragedy, a Special Law was passed, requiring the government to look into the truth of the 4.3 incident. Efforts have been made since then to reassess the scope of the onslaught, compensate casualties and bereaved families, and restore the honor of the 4.3 victims. 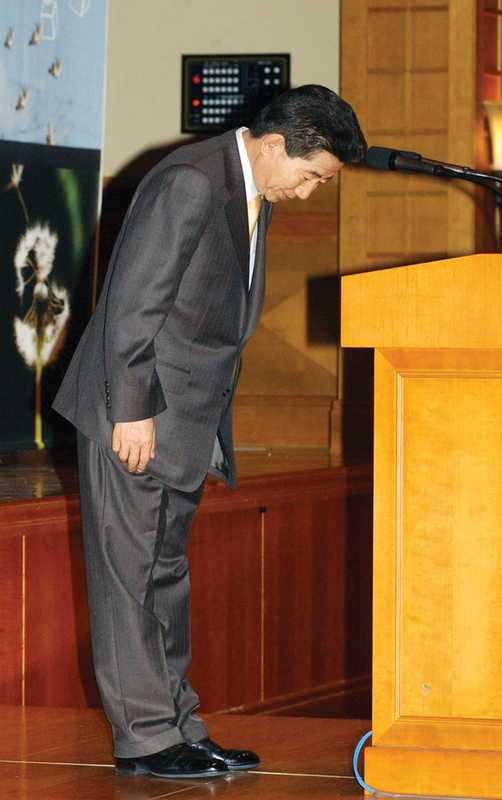 In October 2003, President Roh Moo-hyun apologized on behalf of the national government to the Jeju people for the April 3 Incident, stating, “Due to wrongful decisions of the government, many innocent people of Jeju suffered many casualties and destruction of their homes.” Roh continued, “To those people who died innocently, I pay respect and pray for their souls.” It was the first time an incumbent president had made an official apology for the 1948 massacre. The residents of Jeju Island, now newly branded as “The Island of World Peace,” still mourn as the anniversary of the 4.3 Uprising draws nearer, but recognize that it is time to move on. (*) An earlier version of this article misstated the date as 1948. It was 1947. The Weekly regrets the error.